Horn Entrepreneurship is pleased to announce all of the success and honors our fantastic community of creators, scientists and doers have accomplished this quarter. Joel Amin Jr. has been chosen to receive the 2019 Etkin Johnson Student Scholarship. This program offers the opportunity for those selected to immerse themselves in the thriving land use industry in Philadelphia. Garry Johnson III, one of Delaware’s up-and-coming technologists of color, has had a busy few months. Not only did he graduate from Founder Gym, He has been selected to receive the Youth Entrepreneur of the Year Award at the upcoming StartUpAfrica Entrepreneurship Awards Dinner. This award is given to a business owner who has achieved significantly in his/her entrepreneurial venture at a young age. In addition, he also was given the opportunity to speak on an “Access to Capital” panel at the Level Up Summit hosted by the African American Chamber of Commerce in October. James Massaquoi has been chosen to serve as a Young Professionals Advisory Board Member for Junior Achievement in Delaware. Sierra RyanWallick was chosen as an Honorable Mention in the Lab Girl Essay Contest. D150 Fueling was featured nationally in USA Today and qualified as a finalist in an upcoming Delaware entrepreneurship competition called Swim with The Sharks. Metta House was selected to participate in the Eaton Workshop, an accelerator for change makers and creatives located in Washington, DC. 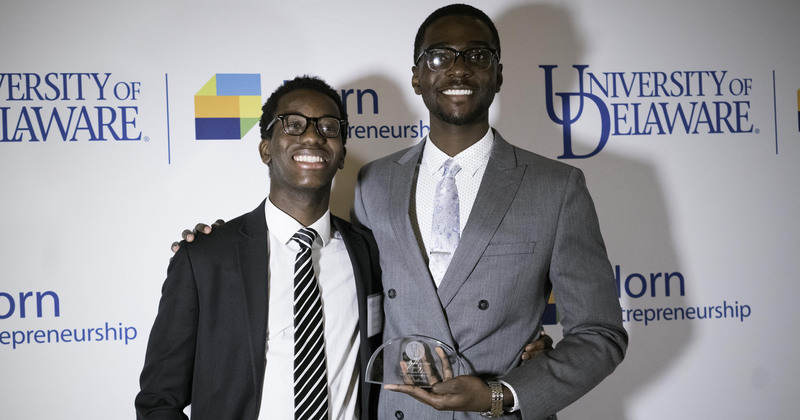 Urbinvest was selected by the New Castle County Economic Development Office to launch an accelerator for entrepreneurs of color; which will begin in January. And Urbinvest has been selected to participate in a mentoring program for entrepreneurs called the Uncommon Individuals Foundation. Cinta Solutions has increased their company portfolio to 150 clients and has hired it's first 6 employees.